Looking back on my life, including my experience at Fuqua, one thing clearly rings true: I’ve been extremely fortunate. Many say their success is a function of hard work, and I won’t disagree with that notion. What I will say is that my success has been greatly affected by luck. I’ve been lucky in terms of the community in which I was raised just down the road in Greensboro, NC. I was lucky to experience multiple tours of duty in the U.S. Army and return home to my family, which can’t be said for all those who have served in the Global War on Terrorism. I was also lucky to stumble into a graduate school admissions session and learn about Fuqua and the amazing opportunities it could provide, ultimately leading me to be admitted to the Class of 2017. With all this luck, I’ve learned an important lesson: many are not as fortunate and that’s why my experience with Habitat for Humanity of Durham has been of such great importance. I was first introduced to Habitat during Fuqua orientation in July 2015. I was immediately impressed by their vision of a world where everyone has a decent place to live. So many people, both in the U.S. and abroad, live in inadequate housing because of dangerous surroundings, inadequate facilities, or unpredictable rent. While Habitat does not give away homes—it receives mortgage payments from homeowners—the interest-free nature of the loan ensures that homeowners are not spending more than 30 percent of their income on housing. In addition to a consistent and predictable mortgage, Habitat homes are energy-efficient which saves families’ money in utility payments. Habitat asks for two things in return: interest-free mortgage payments over 30 years and homeowners spending free time putting in “sweat equity” in building their own home. 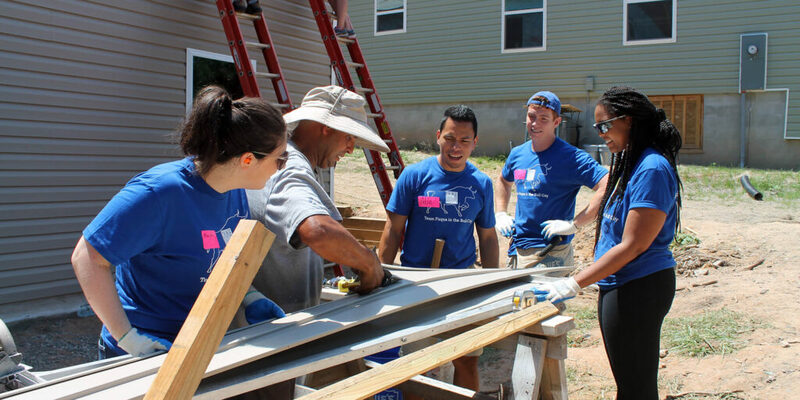 After learning about Habitat’s vision and helping to build a home with my new classmates during orientation, I knew that I had to apply to work with Habitat for Humanity Durham through Fuqua on Board, a program that places students on a nonprofit board. The rigors of business school often pit your priorities against one another. 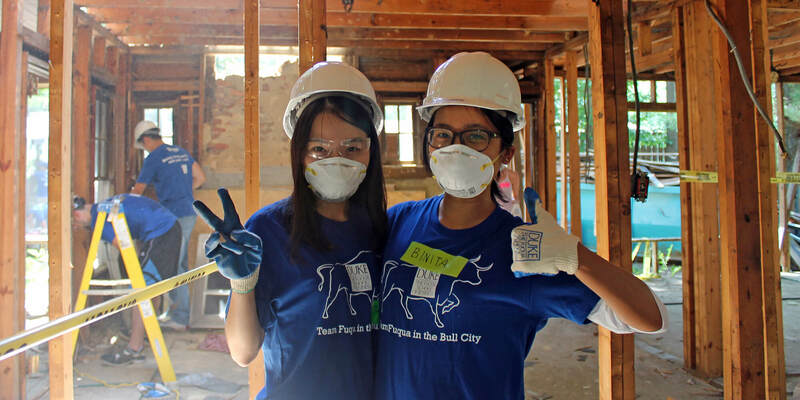 When I was initially matched with Habitat for Humanity, I faced an important choice of whether to attend a case competition or Fuqua on Board training. Ultimately, I passed on the case competition because I was fortunate to be where I was, and Fuqua on Board provided me an opportunity to give back to my community. The training provided extremely valuable resources I would need as I served as a board member with Habitat. After attending my first Habitat meeting, I was assigned the task of a fit-gap analysis of the board that would eventually help to guide its restructuring moving forward. Throughout the process, I remained engaged in board meetings, continued to volunteer with classmates to build homes, and made new friends in the Habitat community. The most touching aspect of the experience was the opportunity to hear from families during the monthly meeting at the “mission moment.” I heard stories of violent communities, hopelessness, and fear. But in those stories, I also heard hope, because their new home was both affordable and in a safe neighborhood. Combined, these two factors reduced volatility for families and helped them plan for the future instead of living only in the present. I learned new skills as part of my Fuqua on Board assignment and they will help me serve other nonprofits in the future. 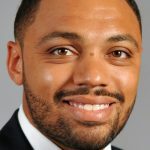 But those skills pale in comparison to the impact my experience made not only on my journey at Fuqua—one of becoming a leader of consequence—but hopefully in impacting the lives of others. It is my greatest hope that my insights to the board will allow them to impact more families in the Durham area. Success takes hard work, but many Durham families need that little bit of luck that Habitat for Humanity can provide. FOB is an extracurricular program of the Center for the Advancement of Social Entrepreneurship (CASE), and is administrated by the Office of Student Life for the Daytime MBA program. It’s a volunteer board service program that matches pairs of MBA students with Durham-area nonprofits to serve as non-voting board members. Over the course of a year-long apprenticeship, FOB “Associates” work closely with a board mentor, participate regularly in board or committee meetings, and complete a project designed to map directly to improving board governance and function. Since the program’s inception in 2002, FOB has matched miore than 600 Fuqua students with 103 different nonprofits.